Buying foreclosures and short sales can be bargains, but can be over-rated too. Depending on market conditions there may be a surplus or very few foreclosures at all. Short sales are relative new and came about during the last market crash. Sometime finding pre-foreclosures where there is equity in the property can be as good or better than foreclosures. With short sales you are dealing with both the owner of the property and the bank. The bank will have to agree with the price and the owner will have to agree with the banks terms, this can be a long, complicated process, but if you are patience this can be rewarding. The first step in looking for foreclosures and short sales will be to find an experienced agent that deals with distressed properties. Any real estate agent can present your offer, but this does not mean they will be able to navigate you through the process. They will be invaluable in locating as well as negotiating a deal with the banks or owners. An experienced realtor will have relationships with several banks and may be aware of foreclosures prior to them being listed on a MLS service. The property you are buying may have several liens on it and an experienced realtor will know how to deal with this. There are many sources for buying foreclosed properties some are held by banks some are from government agencies such as HUD, FHA, VA, Fannie Mae or Freddie Mac. Some people think that veterans can only purchase VA properties, this is not true. 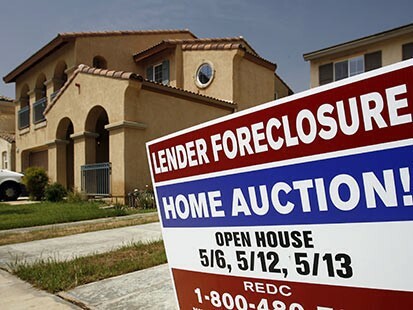 Some foreclosures may be auctioned off. The auction will occur on the courthouse steps or as a sheriff’s sale. Buying foreclosures at an auction is a different process in that you usually have to pay most if not the entire amount of the property immediately upon winning the bid. You can get great deals at an auction, but you must understand the process for payment ahead of time. It is a good idea to get pre-qualified prior to looking for foreclosures or short sales. This will provide you an upper price limit and help narrow you search criteria. The seller will feel better dealing with a pre-qualified buyer. Find out from the lender how much of a down payment you will need to come up with. Some program will require 20% down, but there are special first time programs that will allow as little as 3% down. Home that are purchased for $50,000 or less, you will not be able to finance. In this case you will need cash or creative financing such as hard moneylenders. There are many different loan programs available. For instance, you can purchase Fannie Mae foreclosures using their special HomePath financing program has a low down payment and flexible terms. This program will provide loans for primary residences as well as investment properties and second homes. It is very important to get your home under contract inspected before you purchase it. Be aware that there is an inspection clause in your contract. Get a licensed inspector to inspect the property and provide a report, you can get a second inspection if necessary. Usually the inspection is your last opportunity to get out of a contract. If you purchase a home “as is”, you should still have a right to get an inspection even if the seller is not agreeing to fix anything. You want the inspector to identify any structural damage and other major mechanical problems, such as heating and air issues or electrical dangers. The inspection should run you about $250-$350 in most cases, but may save you thousands of dollars in the long run. The inspector will also be able to identify any code violations.